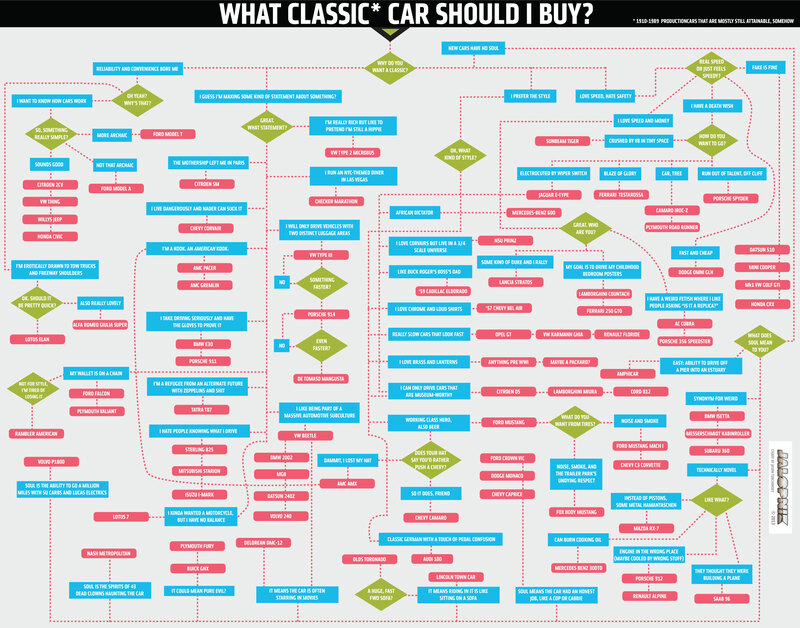 We've done new cars, we've done SUVs and crossovers, so now it's time for a flowchart of my favorite huge category of cars: Classics. In some ways this was the hardest one to make, because there are way more cars on here I give a brace of people scats about. You know how to use these by now — give it a try! 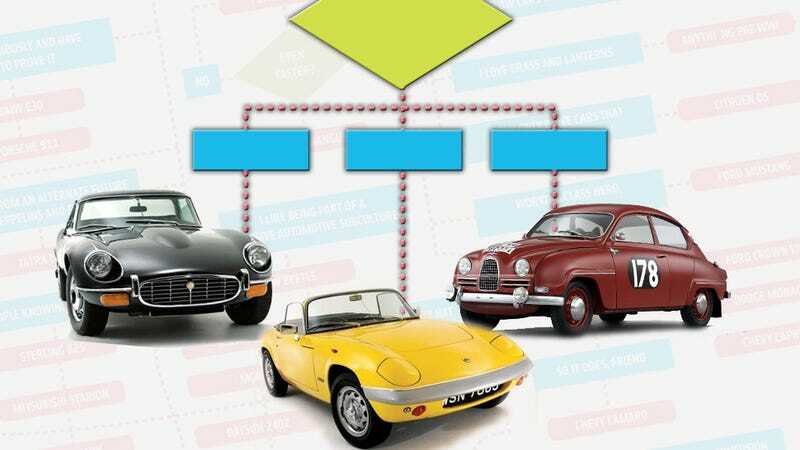 Also, I should mention I may do another classic chart, because there's just so many great vintage cars that didn't make it on this one, because I ran out of formatted 5.25" floppies for the Jalopnik Mainframe. Alright. Have at it. I'm looking forward to seeing what you end up with! Click "expand" to see it at full size, or click here.